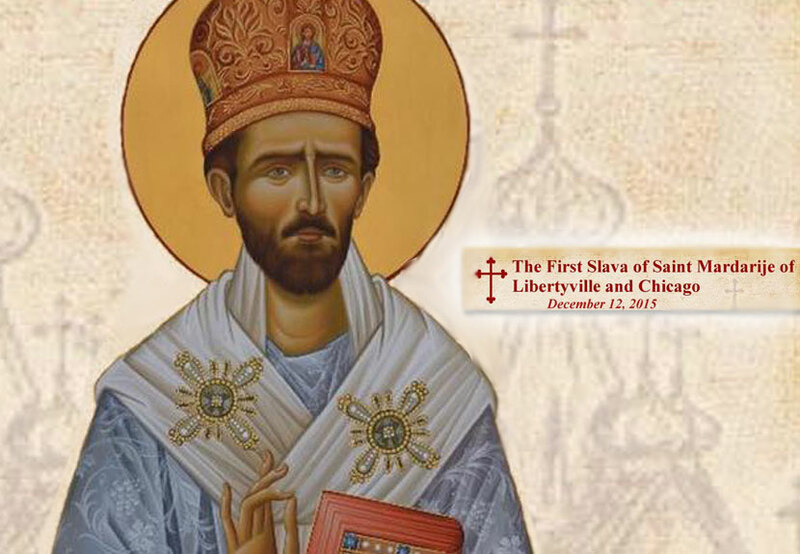 You are invited to celebrate the first Slava of Saint Mardarije of Libertyville and Chicago, Saturday, Dec. 12 with Holy Hierarchical Liturgy taking place at 10:00 a.m. at the Saint Sava Monastery in Libertyville, IL. Lunch will be served with a special program to follow beginning at 1:00 p.m. at the New Gracanica Monastery, Third Lake, IL. Metropolitan Amfilohije of Montenegro and Littoral will serve Divine Liturgy with members of the Episcopal Council of Serbian Orthodox Church in North and South America. This text is available from the Western American Diocese – Serbian Orthodox Church of North and South America (http://westsrbdio.org/en/events/canonization/hagiography/965-the-life-of-st-mardarije-of-libertyville). Born in village of Kornet, Ljesani County, in Montenegro, on November 2, 1889, to pious parents Petar and Jela Uskokovic, he was baptized in his village church dedicated to St. George and received his baptismal name Ivan. 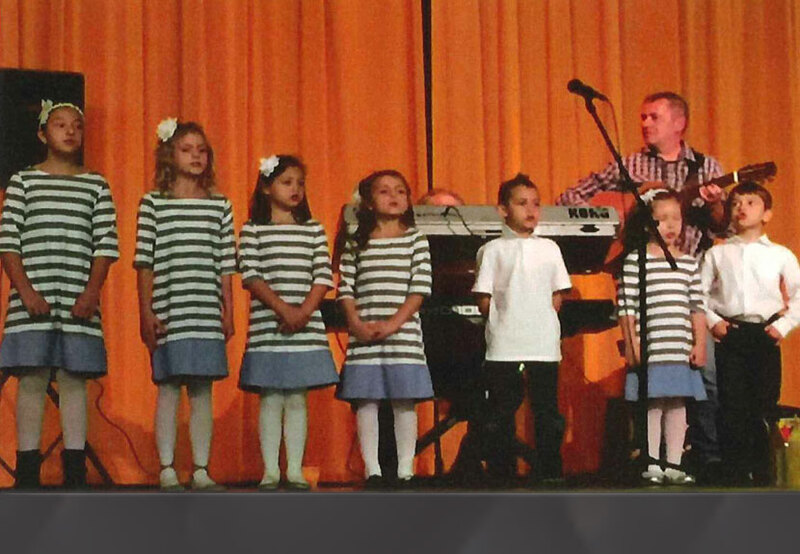 His mother was from the well-known Bozovic family. Both of his parents were well respected in their community holding the office of leadership and particularly his father was a captain of their clan. Considering his parents’ status, young Ivan was sent to further his education, first in Rijeka Crnojevic, Cetinje, and then in Belgrade, Serbia. While in Belgrade, young Ivan advanced his childhood desire to serve God and the Church, and so from there he headed to monastery Studenica where after a short period of novice life he gets tonsured to monasticism having received the name Mardarije. With the decision of the Holy Synod of the Serbian Orthodox Church, now young hierodeacon Mardarije is sent to Russia where he spent twelve years (1905-1917) furthering his theological education and growing in wisdom. From there, the Holy Synod of the Russian Orthodox Church sent him to the United States of America to organize the Serbian Orthodox Church. On December 1, 1923, now archimandrite Mardarije is appointed as administrator of the Serbian American-Canadian diocese with the see in Chicago and that same year he purchased around ten acres of land in Libertyville, Illinois, where later St. Sava monastery was built. He was elected by the Holy Assembly of Bishops of the Serbian Orthodox Church as the first bishop for the newly established diocese in America on December 7, 1925, and his consecration took place on Palm Sunday, the Feast of the Entrance of Our Lord Jesus Christ into Jerusalem, on April 25, 1926. From then on His Grace Bishop Mardarije, the first bishop of the Serbian Orthodox Church in North and South America, labored tirelessly in building churches, St. Sava monastery in Libertyville, sowing Christian love, spread peace, preached and witnessed the Gospel of Christ throughout his diocese. In spite of inescapable wordly trends, he lived spontaneity of truth and a provision of grace, just because Life has dawned from the Tomb, and is dawning still. Having labored as bishop for a little over nine years he died peacefully on December 12, 1935, hospitalized in Ann Arbor, Michigan, while writing his last Nativity Encyclical to his beloved flock. His earthly remains were laid to rest at St. Sava monastery in Libertyville. The Holy Assembly of Bishops of the Serbian Orthodox Church during its regular session held from May 14-29, 2015 brought forth a decision that his name be added to the Diptych of saints of the Holy Orthodox Church. From the Holy Hierarch Mardarije, we see how the grace of God reaches the heart of our cities, bringing to the confusion of the world the breeze of the Spirit and the serenity of the Age to come.